Form and Content was founded as media agency in Berlin in 2013. We are a team of media professionals with wide-ranging expertise, many years of experience and Berlin at our fingertips. Specializing in copywriting, editorial design and creative ideas, we will give your content the right branding, while providing the right content for your brand. 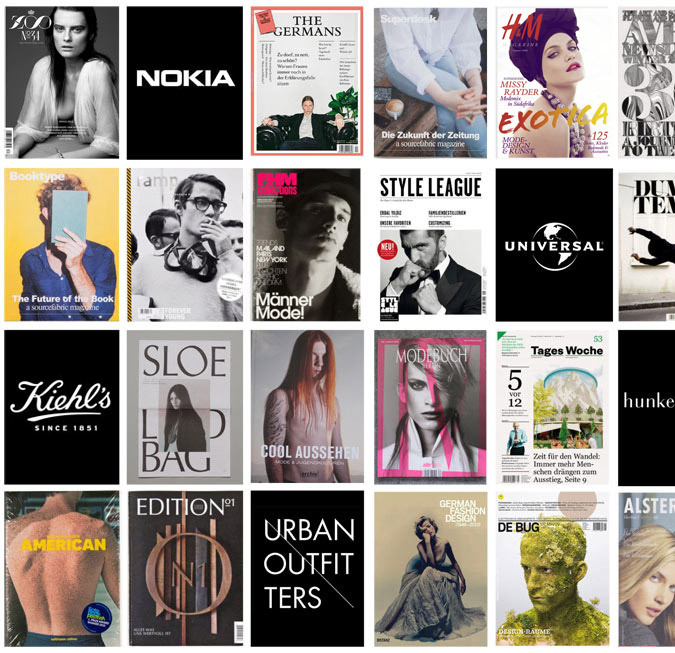 We develop and design magazines and customer brochures, books and online publications. For us no borders exist between offline and online content. Rahel Morgen not only has good ideas, she knows even better how to implement them. With her instinct for the issues of the day, she fills the gaps in the media landscape. She is the founder of the zeitgeisty magazines The Germans and LIEBLING, co-founder of the French fashion magazine Lurve and works as a freelance strategist and consultant for various media and lifestyle brands. Jan Joswig is a journalist who specializes in fashion, music, art, architecture and motoring. He has many years of experience as an editor-in-chief, contributes as an author and columnist to print and online publications, has worked on book projects and edits content for the Federal Agency for Civic Education. His portfolio includes consumer magazines, trade publications, video magazines and proof-reading. Whether for a new project or a relaunch, art and creative director Matthias Last will find you an unconventional and unique solution. Developing a consistent and unusual format down to the smallest detail awakens his artistic ambition. As an art director Matthias Last has launched and re-launched various newspapers, magazines, web portals, books and corporate publications. 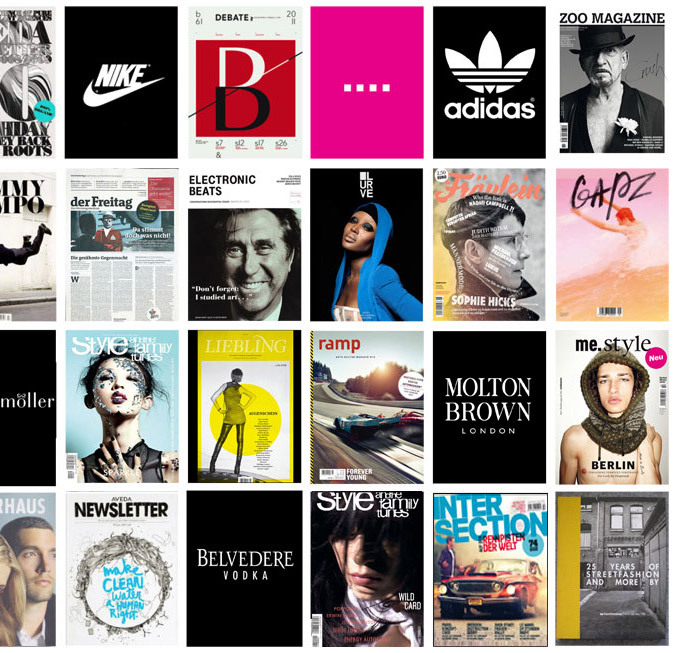 Fashion Magazines & Brands, div. FORM AND CONTENT is required under the Federal Data Protection Act (Act) requirements. Personal data, i.e. Details by which an individual can be identified, directly or allow their identification, are not collected by us automatically. www.formandcontent.eu contain links. Despite careful control we assume no liability for the content of external links. For the content of linked pages their operators are responsible. Explanation: In a judgment dated 12th May 1998 the regional court Hamburg decided that by placing a link on the contents of the linked pages are responsible to answer for. This - according to the court - only be prevented if explicitly stated, is that a substantive distance to the content exists. As the pages of this website are links to other sites on the Internet, we emphasize: We have no influence on the design or content of linked sites and dissociate ourselves from all contents of all linked pages on these homepage and do their contents not own. The content and structure of this website are copyrighted. All rights are reserved. The unlimited existing trademark rights of third parties, and FORM AND CONTENT is explicitly referenced. FORM AND CONTENT authorizes the use of texts, images, graphics and downloads into databases that are intended solely for private use. The acquisition and use of data for other purposes without the written consent of FORM AND CONTENT. not download our content for commercial purposes without prior written permission of Form and Content.